With Aviatrix encrypted peering capability that connects VPC/VNets securely across regions and clouds, a multi-host Docker swarm cluster can span across multiple VPC regions and multiple clouds, such as AWS, Azure and Google. 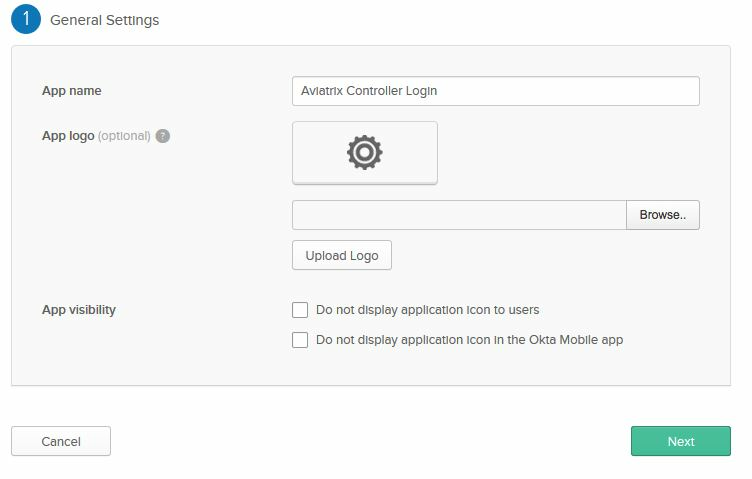 Users can use Aviatrix enterprise OpenVPN® capability to connect to the cloud, then from your desktop access remote containers in a swarm cluster in the same manner as accessing instances. VPN users from desktop, for example, can use “curl” or run a browser session directly to a remote container running a web service. Without Aviatrix solution, it requires complex port mapping to access a remote Docker container. It is not possible today, from your desktop, to access a remote container in a VXLAN overlay network. In addition, administrators can leverage already built in multi-factor authentication and user profile defined access control to grant or deny access to a container or container application port. In this reference design, we are going to show you how to enable and use this capability. This document assumes some familiarity with Aviatrix Cloud Native Networking product, Docker Swarm cluster and VXLAN multi-host networking. If not, no worries, read on and proceed, we have compiled instructions for you. In the diagram above, the left most VPC (172.31.0.0/16), the “VPN landing VPC”, is the one hosting the Swarm primary/secondary managers, consul (Discovery backend) and a few Swarm nodes. Read this link on how to create a Swarm Cluster that you’ll need later. Instances in the rest of the VPCs are part of the swarm cluster nodes that span across multiple VPC regions and to Azure and Google by using Aviatrix encrypted peering capability. Aviatrix solution enables users to remotely access swarm containers as well as instances. Once VPN in, users can use native desktop commands such as “curl” without complex port mapping and “docker exec…” type of commands. Multi-factor authentication and user profile based access control enable fine granular security. Aviatrix VPN gateways are supported by ELB for high availability and scalability. Extensive logging allows administrators to have complete visibility of network event and user browsing history. With Aviatrix encrypted peering, we can easily span Swarm cluster across different regions, and cloud providers (AWS, Azure, and Google GCE). The gateway is launched from a central controller web console with a few clicks. Before you start, make sure you have the latest software by checking the Dashboard. If an alert message displays, click Upgrade to download the latest software. As a prerequisite, you must create a Swarm overlay network cluster first. You need to record the Docker Swarm Cluster Consul IP address, the Overlay Network Name (e.g. multi-host-overlay), and the Overlay Network Address (e.g. 10.0.0.0/16). Please refer for instructions on how to create a Swarm Cluster. The configuration workflow is as follows, with major steps highlighted. This step setup a secure environment so that all your instances and containers can be accessed and communicated securely with private IP addresses. If you are going to start with all containers in one VPC (172.31.0.0/16 as shown in the diagram), launching an Aviatrix VPN gateway and create a VPN user for secure remote access to the instances in the VPC. On the other hand, if you like to try to run containers span across multiple VPCs, launch encrypted peering gateways and Aviatrix VPN gateways to create the necessary network infrastructure for secure access and secure connectivity among instances. Note you must launch separate peering gateway and VPN gateways. In either case, check out this reference design for instructions. Follow the instructions to create a Docker swarm cluster and create some containers. First VPN to the landing VPC, then ssh into each swarm node (instance) with its private IP address. With Aviatrix VPN access capability and encrypted peering, your entire swarm cluster can be deployed on private subnets with private IP addresses. At Additional CIDRs, add 10.0.0.0/16 to the CIDR strings separated with comma. Click on “Enable” for the gateway you just created (e.g. avx-vpngw01). Fill in the Docker Swarm Cluster Consul IP address, the Overlay Network Name (e.g. multi-host-overlay), and the Overlay Network Address (e.g. 10.0.0.0/16). Click “Enable” to confirm the request. Important notes – If there are more than one VPN gateways, make sure you enable Docker Container Access for each one and the same configuration should be applied to all VPN gateways. Now you should be able to access your containers. Use your desktop VPN client to VPN into the VPC. You can try a few things. Note you need to use the container overlay IP address for accessing, in this reference design, all containers overlay IP address is in the 10.0.0.0/16 range. If you have one container that runs a web server, you should be able to access the web server from your desktop browser, run a command “wget” from a Linux machine, or run a command “curl” from a OSX machine. If one container has been loaded with ssh access capability, you can ssh directly into the container from your desktop. Ping the container overlay IP address. You can still add a new swarm node later, just follow the same instruction as described in this link. Important note: for a container on a Google GCE instance, you must enable “IP forwarding” when you launch the Google GCE instance. If you failed to enable Docker Container Access for a gateway, make sure the Docker Swarm Consul IP address is reachable from your gateway. Check the security group associated with the instances. If there are more than one VPN gateway, make sure you enable Docker Container Access for each one and the same configuration should be applied to all VPN gateways; otherwise, you may experience inconsistent behaviors. After you disabled the Docker Container Access for a VPN gateway, if you try to enable it immediately, it may fail. This is because the Swarm Consul still has the node entry in the DB and it needs time to discover that the node is gone. Simply wait for a few minutes until the TTL expired and the key-value store cleans up the old entry automatically.